The 7th annual Keep Paris Beautiful event took place on Saturday, April 21st with over 70 volunteers signing in to help for the day. 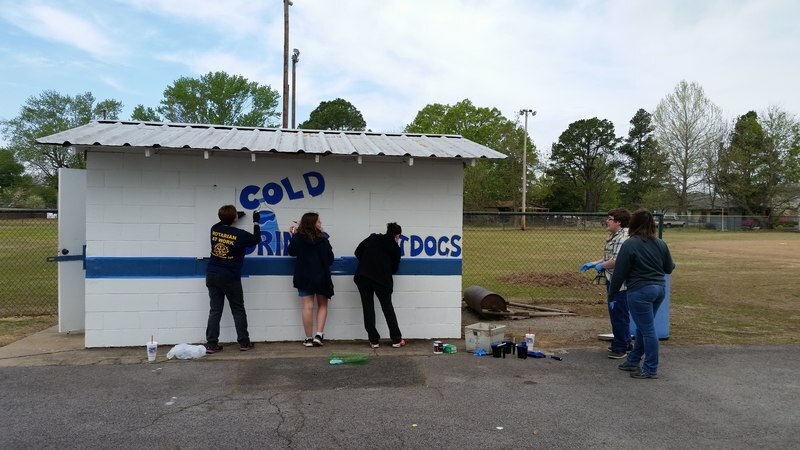 KPB is a partnership between the schools and the community to clean up and beautify the town to keep it an appealing place for residents and visitors. The group was able to complete several amazing projects, including weeding, replanting and repairing the rock garden bed at Veterans City park, painting a mural on the North and South sides of the old fairgrounds building, painting graphics on the little league concession stand, clean up and landscaping at the Old Union School House and picking up several bags of litter and debri around the park and school campuses. The group also purchased three new large commercial shade umbrellas for the City Pool area and three new benches to replace older ones at Veterans City Park. 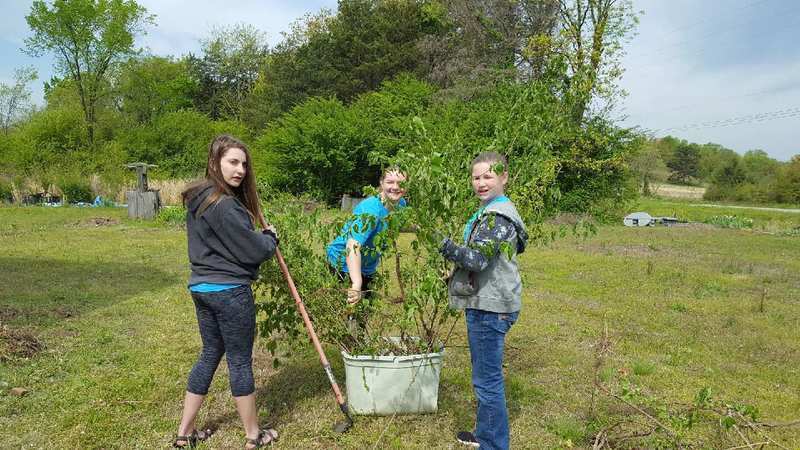 Volunteers met at Veterans City Park on Saturday morning and worked at their project sites until noon, reconvening at the park for lunch and door prizes. "I was very impressed with the dedication of the volunteers giving up part of their weekend to help out the community. I am also pleased with the number of projects completed as well as the quality of the work done," said Project Coordinator, Tonya Varnell. First National Bank at Paris Mosquito Joe of Arkansas El Parian Mexican Restaurant Logan County Glass & Mirror Ed Williams Body Shop Bank of the Ozarks Paris Lions Club Paris Kiwanis Club Paris Area Chamber Beautification Fund Master Made Tanks, Inc. Preston Rose Farm & Brewery Trusty Services Pressure Washing Pizza Hut and TyTon Properties.